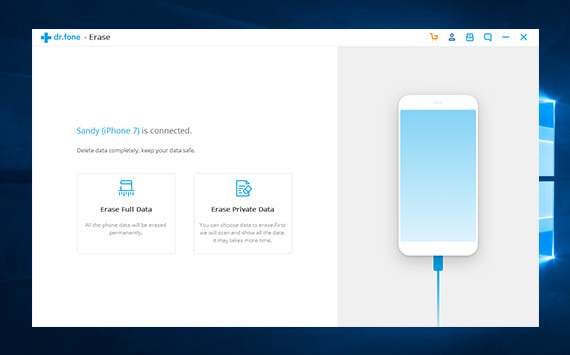 Scan and preview both deleted and existing private data for free, including most types of files such as photos, messages, contacts, call history and safari’s bookmarks. All items or what you want to delete can be erased permanently and disappear forever. The steps need to take for erasing data is very easy to understand for all ages. Run the program and connect iOS device to the computer, scan the private items and start choosing data that needs to be deleted. And then the private files will be erased within a few minutes. This iPhone cleaner is compatible with all iPhone products ( iPhone SE, iPhone 6s Plus, iPhone 6s, iPhone 6 Plus, iPhone 6, iPhone 5s, iPhone 5c, iPhone 5, iPhone 4s, iPhone 4 ), All models of iPad Pro, iPad Air, iPad mini, iPad, and iPod touch 5, iPod touch 4. Surrounded by all kinds of high-tech and high risk, everyone is concerned about the safety of personal privacy nowadays. Using this iPhone cleaner, many private data can be deleted promptly and permanently, therefore helps people to totally guarantee the personal privacy.